Looks like we all got it all wrong again: that Ohio State fan whose spot was blown the hell up for allegedly fondling her side-action live on ESPN? That's her boyfriend, who she probably loves more than anything in your life. What's This Woman Doing on Live TV, and Why Does She Look So Guilty? Is it a criminal act to show affection in public? You'd think so, based on some of the sick, parasitic blogging we've found today on lesser sites. 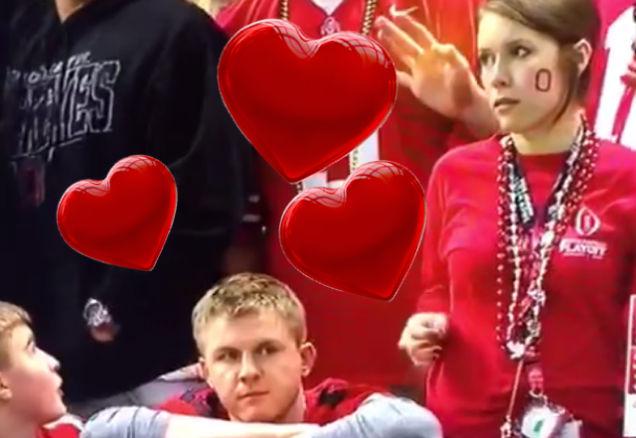 Did This OSU Fan Get Caught On Live TV With Her Sidepiece? What's The Deal With This Shifty Ohio State Fan? We're still not sure why she withdrew her scratching hand. (Though we'd still love to talk! 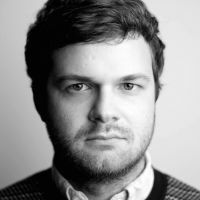 You can email me at biddle@gawker.com.) The rest of you owe her an apology, and Jesus Christ, man, smile when your girlfriend is trying to do something nice on your dome.